Although the pound rallied after Theresa May’s speech on 17 January outlining the Government’s Brexit plan, it still remains weak against the euro overall. Sterling, having dropped to 1.133 against the euro in anticipation of the Prime Minister’s speech, leapt back up to 1.157 at its highest point yesterday. However, compared to where the pound to euro exchange rate was before the UK voted to leave the EU – 1.32 at its highest point last year in February 2016 – it is still not offering a favourable rate. But not every country in Europe uses the rather expensive euro. In fact, nine European countries have alternative currencies and could make for better-value holiday destinations in 2017. 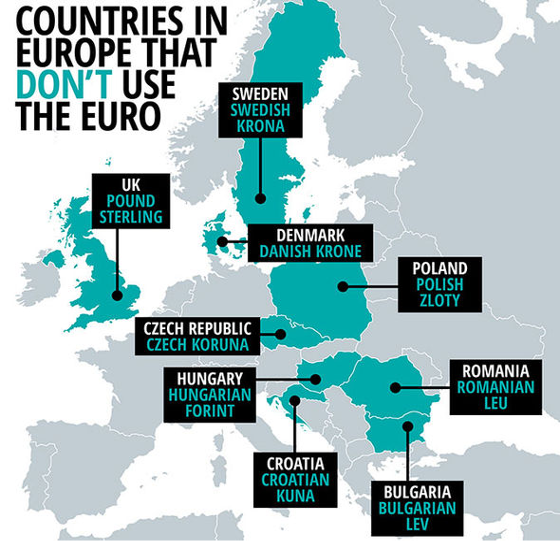 Here are the places where you can avoid using the euro. Already one of the hottest holiday spots on the planet thanks to its crystal seas, verdant islands and historic walled city (Dubrovnik), Croatia has one more thing to recommend it – its currency. Some places do accept the euro there, but the country’s official currency is the Croatian kuna. Although the pound to kuna exchange rate also took a dive following the EU referendum, sterling has been rallying again since November 2016. The closing rate yesterday was 1 to 8.72. This Eastern European country has become increasingly popular with Brits thanks to its great value. In particular, it offers a very cheap alternative for ski holidays, with prices much lower than in French, Swiss or Austrian mountain resorts. The official currency there is the Bulgarian lev. Yesterday’s pound to Bulgarian lev exchange rate closed at 1 to 2.268. Fancy a trip to Budapest? This historic capital city is bisected by the magnificent Danube river and has a thriving, bohemian charm. Complex architecture, myriad bathhouses with natural hot springs and sophisticated cuisine are all par for the course. Hungary’s currency is the Hungarian forint – the pound to forint rate was 1 to 356.11 at the close of 17 January. Whether you fancy a trip to Sweden’s capital Stockholm, to Abisko National Park to catch the Northern Lights, or to Swedish Lapland to see Santa, Sweden has plenty of sights up its sleeve. <>The Scandinavian country uses the Swedish krona as its official currency. 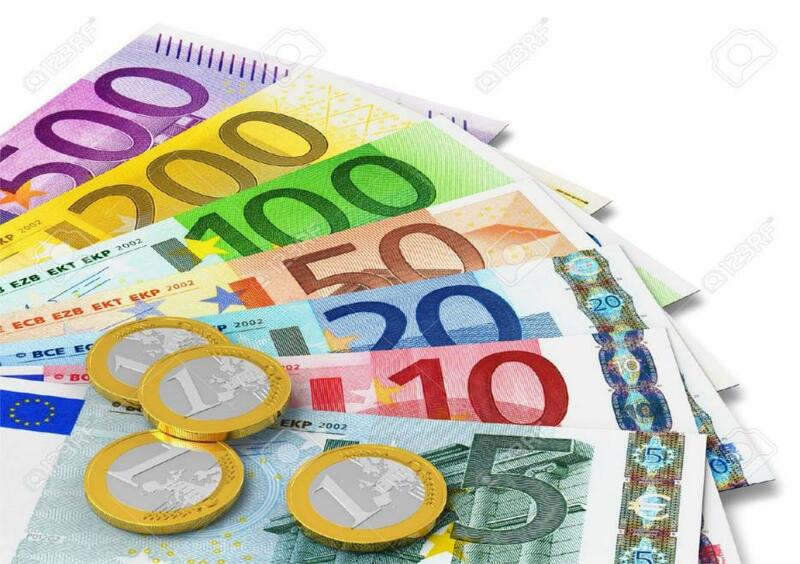 Yesterday’s closing pound to krona exchange rate was 1 to 11.029. Medieval hot spots like Kraków and Gdańsk vie with the lively capital of Warsaw in Poland. Meanwhile, woods, rivers, lakes and hills can be found away from the cities. It has an incredible history to explore, from the turn of the first millennium to its tragic involvement in World War II. Poland uses the Polish zloty as its currency. The pound to zloty rate at the close of yesterday was 1 to 5.055. This fascinating country’s capital, Prague, may be more associated with stag dos than culture these days, but there’s plenty more to Czech Republic than drunken men dressed in morph suits. Prague itself is a historical playground, boasting a medieval core that shows what the city would have looked like 500 years ago. Meanwhile, outside the city there are historic castles and palaces to explore. The country uses the Czech koruna as currency. The pound to koruna rate was 31.29 at the close of play on 17 January. This Scandinavian country has been making waves recently as the concept of hygge (a feeling or mood that comes from taking genuine pleasure in making ordinary, everyday moments more meaningful, beautiful or special) has gained popularity and swept across Europe. Denmark’s landscape is defined by water and boasts many islands, each with its own unique character. It uses the Danish krone; the pound to krone rate finished at 1 to 8.60 yesterday. Romania has something for everyone. Urban animals will get a kick out of the vibrant city of Bucharest, while vampire hunters will love the many spooky castles perched on rocky hilltops that inspired the legend of Dracula. The local currency is the Romanian leu. At the close of yesterday the pound to leu rate was 1 to 5.21. Finally, guess where else doesn’t use the euro? The United Kingdom! Now could be the perfect time for a staycation, eliminating the need to buy currency. From the beaches of Cornwall to the stunning wilds of the Lake District, the UK has plenty of beautiful holiday destinations to explore.